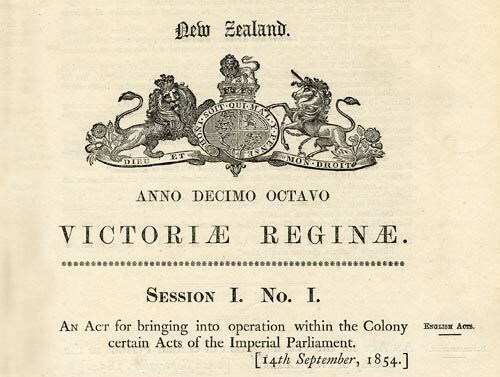 The first act passed by the infant New Zealand Parliament in 1854 extended certain acts of the British Parliament at Westminster in London to New Zealand. A few British acts remain in force in New Zealand in the 2000s, but in the 1980s all remaining powers of the British Parliament over New Zealand’s system of government were done away with. Reference: Statutes of New Zealand. Auckland: Government Printer, 1854–1855.